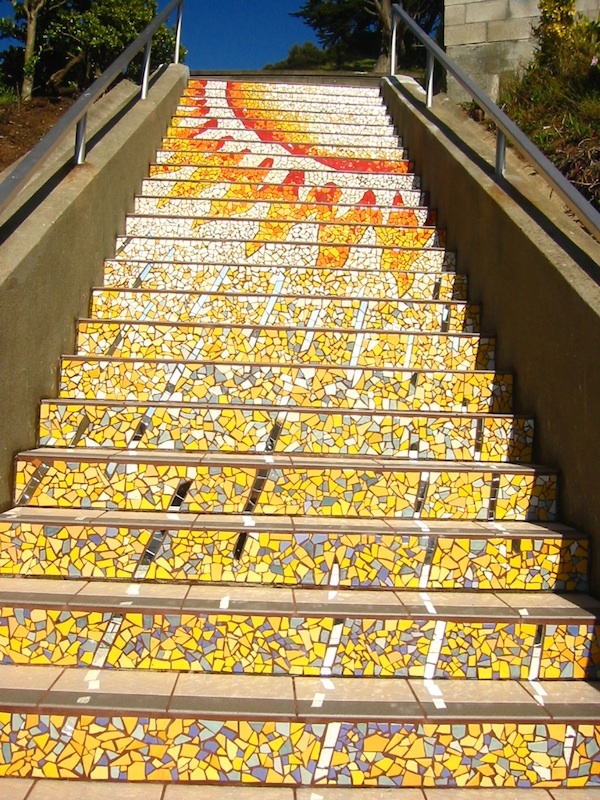 At the corner of 16th and Moraga feast your eyes on the 16th Avenue Tiled Steps. 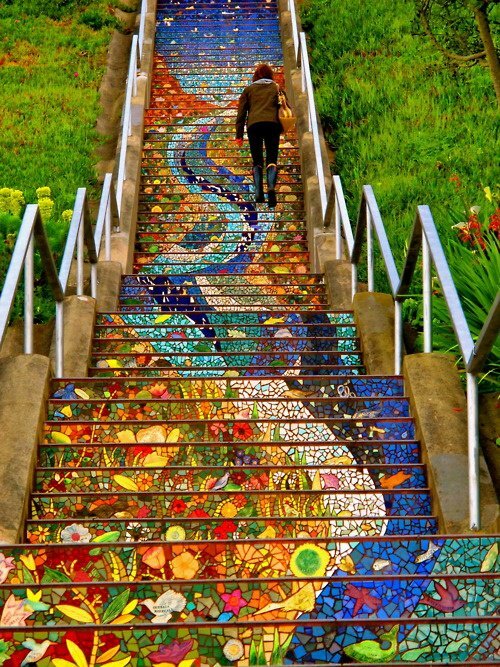 While you will also get some spectacular views of the Golden Gate City, you will be able to see a beautiful mosaic that runs up 163 steps. 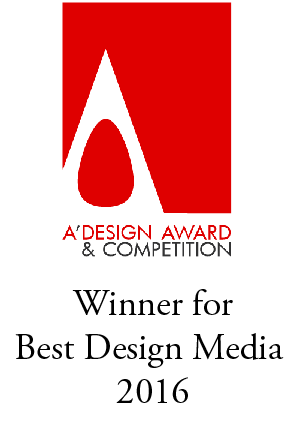 It was inspired by the famous steps of a similar nature in Rio de Janeiro Brazil. 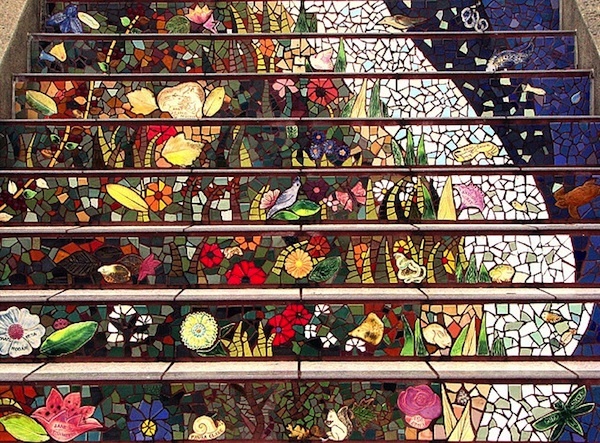 Mosaic artist Colette Crutcher and Irish ceramist Aileen Barr partnered up with hundreds of volunteers from the community and in two and a half years created this beautiful project, unveiled in 2005. 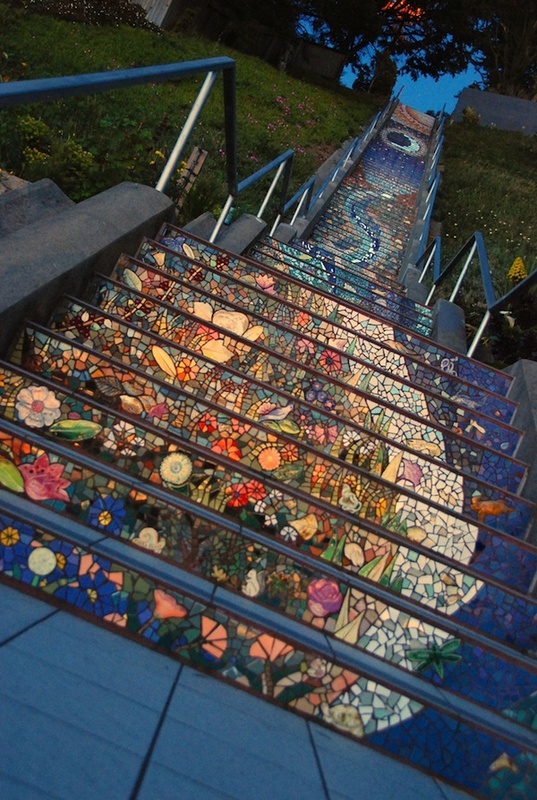 The steps include more than 2,000 handmade tiles and 75,000 fragments of stained glass, mirrors, and tiles.